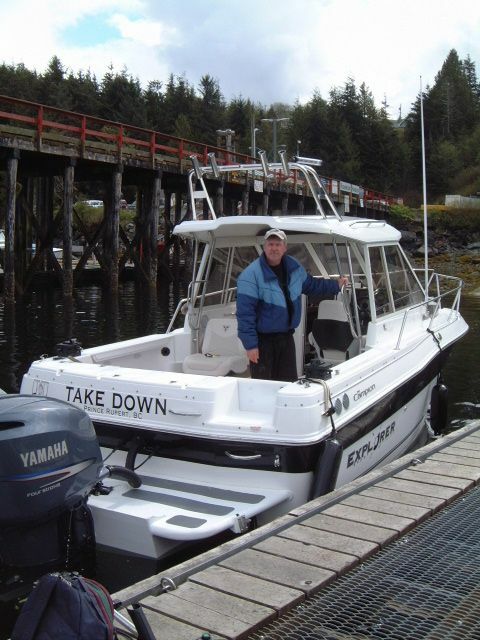 Experience the Best in British Columbia Sport Fishing with Our Fishing Charters! With Daybreak Fishing Charters, you’re in for some of the best sport fishing along British Columbia’s Hecate Strait. Beginners, expert anglers and everyone in between all have the chance to reel in salmon, halibut, cod, snappers and bottom fish. Daybreak Fishing Charters promises a world-class fishing experience in some of the richest marine zones on the planet. So, if one type of fishing isn’t biting, we can always recommend moving along to a more active spot, possibly return to the original location later on. Once we are done for the day, Captain John Gaber will clean your catch so it will be ready to cook and enjoy. In addition to fishing, we can also set traps for the area’s prized Dungeness crabs. Please let us know in advance so we can pack the right gear! Within our cabin, you can relax, have lunch or simply enjoy a break from all the action happening on the deck. Our cabin is loaded with extras, including a refrigerator, burner stove and marine head. We invite you to enjoy all the comforts our top-of-the-line fishing vessel has to offer. To schedule with one of the top salmon and halibut fishing guides in Prince Rupert, call Daybreak Fishing Charters today!